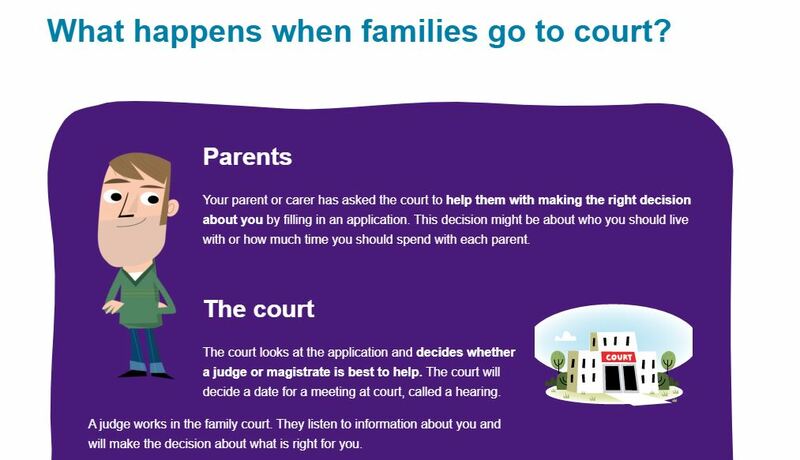 This resource from The Children and Family Court Advisory and Support Service (Cafcass) explains what might happen when a child or young person’s family goes to goes to court following a parental separation. The guide is written for children and explains who will be there, what will happen, and what choices the child or young person can make e.g. write a letter or draw a picture to the judge. This resource is shared on the Cafcass website.